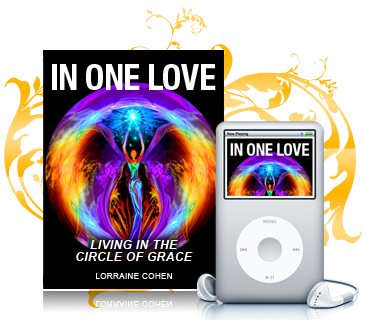 Free Gifts from Lorraine Cohen! I give Lorraine permission to email me. I will never share your information with anyone. PERIOD! I’ve been on a spiritual path for over 30 years, (really all my life!). This journey has been one of the most painful, terrifying, exhilarating and liberating experiences of my life that has brought so many blessings and miracles. It began when my mother died in 1981 and my life fell apart. Over the years I’ve mourned the loss of my father within two and a half years of my mother’s death, said goodbye to three beloved pets, dealt with heavy debts and financial challenges. I lost a ton of money in the stock market, reinvented my business several times, almost lost my home, and faced four breast cancer diagnoses. I’ve been on my knees more times than I can count and been lifted up repeatedly….. 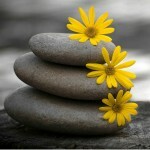 I have learned how to clear emotional and mental energetic blocks that create struggle, illness, and unhappiness. And I have learned how to transform fear into courage, scarcity into abundance, become more self-loving, and turn past hurts into wisdom, compassion, and power; to become a living embodiment of Divinity. The key to life’s magic is HEALTH. When your mental, emotional, physical, and spiritual bodies are in harmony there is a natural flow of wellness, abundance, and happiness. This is the playground of the Alchemist. You are not meant to travel your journey alone. I welcome the opportunity to walk with you in your quest for a life filled with sacred purpose and Grace. 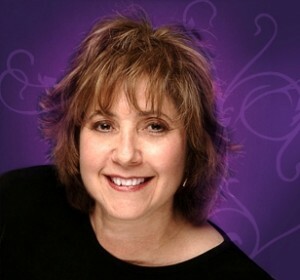 A fierce advocate for your transformation, I’ll assist you to restore your innate value, purpose, self -love and personal connection to the Divine; to turn your life into play so you can create your boldest, most abundant, and meaningful life. As you learn how to live from your heart, possibilities show up, inspiration flows and your life begins to work in ways you never imagined! Have a recurring health condition that flares up or health problems your doctors can’t figure out or fix? Accelerate your body’s ability to heal quickly and experience relief faster and release any stuck energy in your body with ancient Quantum energy healing energies. These sessions are for you if are well along on your spiritual path and want to help heal and clear your health issues from a deep core level. Receive distance healing on the Full Moon to tear down, transform and transcend self-sabotage patterns, clear emotional wounds, physical blocks, or anything else that affects your health and well-being. Amplify: Greater health and vitality especially if you are dealing with a health condition, a steady increasing flow of money and abundance, deeper connection and alignment with your Soul Life blueprint. Receiving a cancer diagnosis or facing a serious health challenge can be scary and daunting. 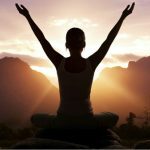 Facing four breast cancer diagnoses from 2012-2015, I discovered many options and resources to restore your body’s health with empowering and loving choices. I’ll help you reclaim your health so that you heal and thrive in ways that are right for you. 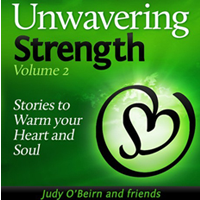 In this powerful anthology, the common denominator in all of these stories is that they show the power of unwavering strength. It is this strength that can get you through whatever life throws your way. You can grow, heal, and transform in the face of adversity. And in doing so, you will become a master in this journey of life. 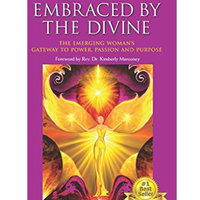 Embraced by the Divine: The Emerging Woman’s Gateway to Power, Passion and Purpose. Compiled by Michelle Mayur, this exceptional anthology is filled with raw authenticity, juicy journeys, inspirational spiritual gems, practical tools, meditations and divine guidance to find and live your life purpose. No matter what challenge, misfortune or trauma life brings you, there is always the chance to grow from the experience and to triumph against all odds. At BellaMia we believe every woman is beautiful! Redefine your experience of womanhood and put the word beauty back where it belongs: In your hands!. Filled to the brim with articles that will spark your passion for yourself, challenge everything you have ever been told about being a woman, and give you the information you need to practice a whole new brand of self love with joy and pleasure. I've been on a spiritual path for over 30 years, (really all my life!). This journey has been one of the most painfull, terrifying, exhilarating and liberating experiences of my life that has brought so many blessings and miracles. If you are feeling emotionally or mentally triggered, ask yourself, "Is this mine?" You may be absorbing the collective energy. How were you all feeling yesterday? How are you feeling today? 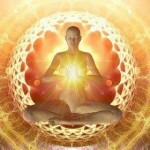 Seeing your ego or your body as an enemy creates a battle relationship with yourself. Without self-love & compassion, the war goes on. So I was guided toinfuse two images for you! "Do my thoughts & actions support the life I want to create?" If not, make the changes. Have you ever done the “work” and not seen any results for your efforts? 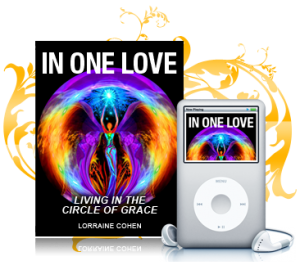 © 2019 Lorraine Cohen | Soul Power Coaching | Energy Healing.